Justice for Iran joins other 24 human rights organizations to urge member states to vote in favor of the resolution on the promotion and protection of human rights in Iran on November 19,2013. We, the undersigned human rights and civil society organizations, write to urge your government to vote in favor of resolution A/C.3/68/L.57 on the promotion and protection of human rights in the Islamic Republic of Iran during the 68th session of the United Nations General Assembly, scheduled to take place this Tuesday, 19 November 2013. This year provides a crucial opportunity to highlight ongoing human rights concerns identified by the international community and Iranian civil society. The new administration of President Hassan Rouhani has pledged to tackle a range of human rights issues in Iran, by eliminating discrimination against women and ethnic and religious minorities, and ensuring respect for the right to freedom of expression, among other measures. Despite these welcome signals, human rights abuses are deeply rooted in Iran’s laws and policies, many of which pose a serious barrier to the executive branch’s ability to push through much needed rights reforms. As a result, the human rights situation in Iran continues to be marked by routine violations of civil and political rights as well as economic, social, and cultural rights. 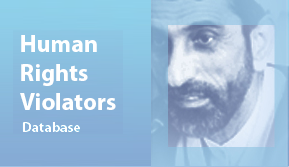 On 23 October, the UN Special Rapporteur on the situation of human rights in Iran, Dr. Ahmed Shaheed, reported a “deepening human rights crisis” in the country and detailed violations of the rights to life, education, health, the right to freedom of expression, association, assembly, religion and belief, as well as the rights to freedom from torture and discrimination based on gender and ethnicity. Despite its 2005 standing invitation to the United Nations’ Special Procedures, Iran remains reticent to accept their repeated requests to visit the country and has systematically worked to undermine the efforts of civil society in the country to promote and protect international human rights standards. The continued attention of the international community is required if the Islamic Republic of Iran is to turn a page on this pattern of abuse and noncooperation. Member states must continue to express their concern over these abuses to give both civil society and the new Iranian government the support it requires to advance and protect the rights of Iran’s population. By doing so, states will encourage the prioritization of human rights with a view to reform Iran’s laws and practices as pledged by President Hassan Rouhani. The Special Rapporteur continues to express grave concerns for the many activists, journalists, human rights defenders, women’s rights activists, students, and members of ethnic and religious minorities who languish in ongoing arbitrary detention, and are at risk of torture or other ill-treatment, including sexual abuse, and even death for exercising their rights. The deplorable human rights situation in the country is demonstrated by the hundreds of executions in 2013 and, in particular, in the past few months. On 25 October 2013, authorities executed Habibollah Golparipour and Reza Esmaili, political prisoners from Iran’s Kurdish minority on national security charges after a Revolutionary Court sentenced them to death following summary proceedings which fell far short of international standards on fair trials. On 26 October, another 16 individuals, from Iran’s Baluchi minority, were executed. According to the Justice Chief of Iran’s Sistan-Baluchestan province, the executions were carried out in “retaliation” for a border attack by a Sunni armed group that had reportedly killed 14 border guards in the city of Saravan in the same province, near the border with Pakistan. On November 4, officials executed another Kurdish prisoner, Sherko Moarefi, whom a Revolutionary Court sentenced to death following an unfair trial. Officially, at the time of writing, 327 executions have been acknowledged by Iranian authorities for 2013 but reliable sources have reported at least 261 additional executions during the year. At least 165 of these executions, including 76 acknowledged and 99 reported cases, have taken place since President Rouhani’s electoral victory in June. Despite the promises made by President Rouhani during his electoral campaign regarding freedom of the press, journalists continue to face arrest and detention solely for exercising their right to freedom of expression. On 28 October 2013, authorities banned the reformist newspaper Bahar after it published an article deemed “distortive of the history of Islam” by the Minister of Culture and Islamic Guidance. Security forces arrested Ali Asghar Gharavi, the writer of the article, on 11 November 2013 in the city of Esfahan. Also of concern to the Rapporteur and human rights organizations is the systematic discrimination against women in law and practice. In the past few years, the authorities have increasingly adopted discriminatory policies aimed at restricting women’s access to higher education, including by implementing a gender quota system that banned women from enrolling in 77 subjects at 36 universities in the 2012-2013 academic year. The policies remain in place in the 2013-2014 academic year, although they appear to have been implemented to a lesser extent. This resolution on the promotion and protection of human rights in Iran of the 68th UNGA is an important and timely mechanism. The resolution welcomes recent positive statements by Iranian officials, while effectively detailing the broad range of violations committed by the authorities. 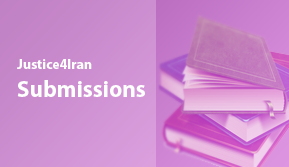 It strongly urges the government to implement the recommendations it accepted in 2010 during its Universal Period Review by the UN Human Rights Council, and to cooperate with all UN Special Procedures, including the Special Rapporteur on the situation of human rights in the Islamic Republic of Iran. Substantive cooperation with UN mechanisms and tangible rights improvements in line with Iran’s international legal obligations are the real measures of progress. By voting in favor of this resolution on 19 November, the UN General Assembly will send a strong signal to the government and all Iranians that the world is invested in lasting human rights changes in their country.